I figured it was time to give a baby update on me (my past few posts have been about my beautiful new nieces). I am 27 weeks- only 13 more weeks to go. I am still feeling really good, but really pregnant too. I feel like my belly is huge but I know my biggest growing months are to come. 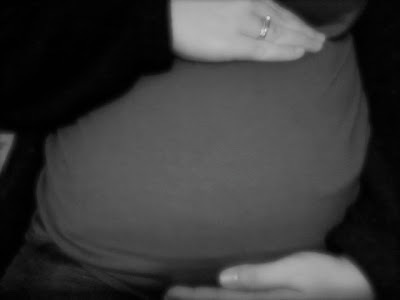 Matt and I feel this little guy kicking all the time- it scares me of how active he will be when he actually comes out. We have not decided on a name yet, but we have a few favorites. We will be sure to let everyone know when the final decision is made. I have my Glucose test on Monday (this is where they test to see if you have Gestational diabetes). And another doctor appointment at the end of March. 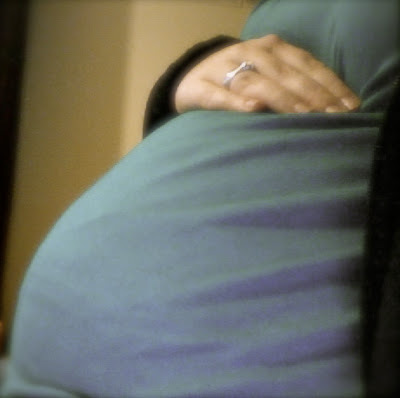 I can not believe I am more than two-thirds of a way done with this pregnancy. The Lord has blessed me with a healthy pregnancy and I praise him for that! I will be traveling home (to FL) again in April for a shower and I have two in St. Louis in the next couple months too. That will be fun! I hope you enjoy these couple of pictures...sorry you can not see my face, Matt is out of town and I took these of myself! Enjoy! I will post more soon! Oh, I wish I could see you! Isn't being pregnant SO much fun?! !